We wish to advise the trade that we will be increasing the Guatemala Terminal Charge (GTC) effective July 1, 2018. GTC is applicable on all open tariff and contract rates Northbound and Southbound originating or transiting via Santo Tomas, Guatemala. 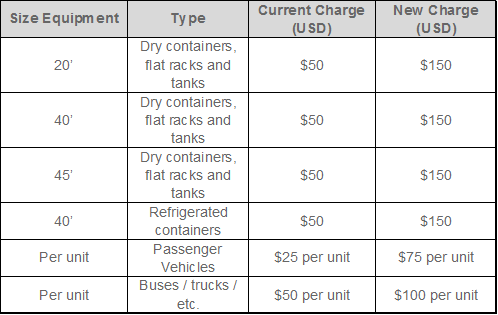 The charge will also apply on cargo in transit to/from El Salvador via Santo Tomas, Guatemala.